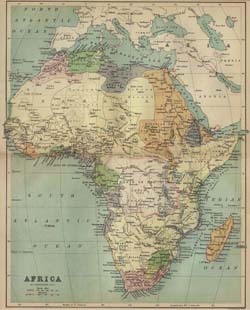 Africa became a major focus of mission work from the 1840s onwards. Jamaican Christians urged BMS to commence a mission to Western Africa. As recently freed slaves they wanted to share the gospel with their fellow Africans, proclaiming: “We have been made slaves for men; we can be made slaves for Christ”. In 1843, a group of BMS missionaries and Jamaican volunteers sailed for Africa. A key figure in the West African mission was Alfred Saker. Though most of the missionaries soon died, Saker was able to build up work in Cameroon. In 1878, after a large donation to BMS, Thomas Comber and George Grenfell were dispatched from Cameroon to Congo to investigate the possibility of establishing a mission on the Congo River. This 4,000 mile waterway into the heart of Africa potentially offered access to 25 million people. A further gift to BMS purchased a steamer – the Peace – which enabled the mission to move eastwards along the river. Grenfell spent several decades exploring and charting land and waters and assessing the best locations for mission stations – work which laid the foundation for a considerable Christian witness in tropical Africa. Stanley Browne, born in simple surroundings in Bermondsey in 1907 was, by his death in 1986, recognised around the world for an array of outstanding contributions to public health, in Africa and world-wide. A prolific writer and speaker, his perseverance and success in pioneering situations developed into an additional role training and motivating others both in the medical world and through his extensive church connections. Having understood from the age of five that he was called to be a missionary, he never wavered from pursuing and fulfilling that calling. He sacrificed many opportunities for self-advancement early in life, choosing rather to serve with the BMS in the remote Yakusu Hospital in the Congo, first as a single man and then with his family. Stanley Browne was a precise and systematic worker, and these characteristics contributed immeasurably to his medical discoveries. His painstaking approach in both public and private life are revealed in a collection of his papers given by his family to the Wellcome Library and available in its archive. Among the private documents are diaries and letters from throughout Browne’s life, including Stanley Browne’s personal letters to his eldest son Derek. Of the many types of letter available, Browne’s regular and detailed letters to family members are some of the most fascinating and touching. 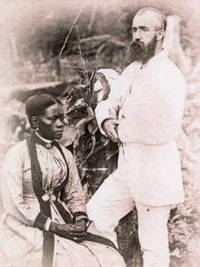 After a term as a single man in the Congo, Browne married ‘Mali’ Williamson, daughter of BMS missionaries who had served in China. In 1942 their first son Derek was born. Health conditions in mid-twentieth century Congo were such that missionaries were not able to keep their children with them, and so to Stanley and Mali’s great sorrow, Derek had to return to the UK to live with the wider family and go to school. The Wellcome archive contains a pack of some hundreds of weekly air-mail letters written by Browne to his son during his high-school and early adult years. During this time Stanley was travelling extensively for the WHO and so the letters bear a considerable variety of stamps and addresses. They are hand-written and many bear notes from Derek’s mother Mali also. They cover a whole range of subjects relating to Derek Browne and his parents, but their style is consistently personal and shows the deepest concern for Derek’s well-being. For example Browne wrote from Nigeria in 1960, “I often try to picture to myself what you are doing, so that I can in a sense be really with you and pray for you day by day.” This desire to be involved with Derek’s day to day life pours out of the correspondence. These selections provide just a small taste of the material to be found in the archive, and further study is demanded for additional insights into the nature of long-distance family relationships as well as Christian discipleship and counsel, to name only two possibilities. Margaret Gibbs has been a BMS mission worker in Nepal and Albania and is now BMS Regional Team Leader for Asia. After a large donation by wealthy recluse Robert Arthington, BMS sent Thomas Comber and George Grenfell from Cameroon to explore Congo and the possibility of setting up mission stations along the Congo River. The explorations were successful: gradually missionaries advanced along the river and were able to establish mission stations all the way along over 1,200 miles of riverway, with the help of the BMS steamers, notably the Peace. 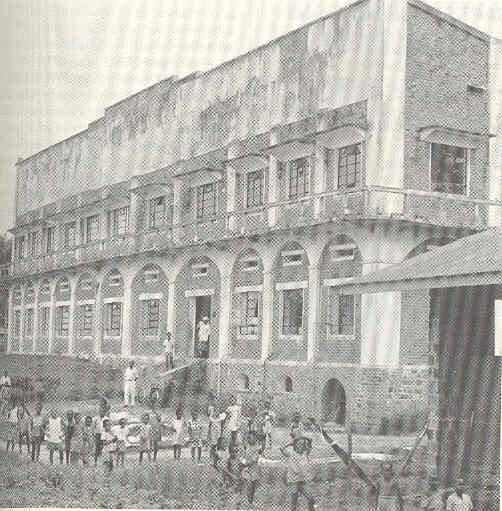 Churches, schools, hospitals and agricultural projects were built and developed. Though the name of the country around the river has changed over the years – part of lower Congo became Portuguese Congo and then Angola; Congo became Belgian Congo, then Zaire and now the Democratic Republic of Congo – the missionary work in Angola and D R Congo continues today. In 1878, with plans to extend the mission work into the African interior, BMS enlisted two enthusiastic missionaries who were serving in Cameroon, George Grenfell and Thomas Comber. 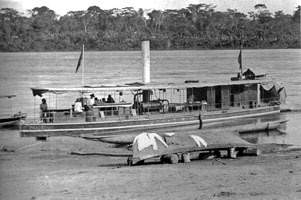 Grenfell and Comber’s mission was to journey and explore up the Congo River for possible locations for mission stations. They accepted gladly and departed immediately on the 800 mile boat trip south to the mouth of the River Congo. Missionaries would spend decades exploring and charting land and waters, encountering tribal peoples, cannibals and idolatry, fighting off disease and death…and yet they laid the foundation for a considerable Christian witness in tropical Africa. As an apprentice in a machinery plant, George Grenfell acquired knowledge there that would be invaluable later in his life. Aged 24, Grenfell felt the missionary call and entered the Baptist College at Bristol, being accepted a year later for service in Africa and sailing for Cameroon in 1874. Grenfell was as much an explorer as a missionary and had managed to establish a printing press, teach brick-making, treat the sick and do Bible translation as well as his exploration and cartography. 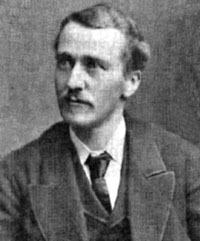 Thomas Comber spent four years at Regent’s Park College where he trained as a missionary student. He spent a further year in London taking classes in medicine, before travelling to Cameroon with BMS at age 24. Comber was known for his boundless energy and happy nature, stemming from his unshakable faith. He was called ‘Vianga-Vianga’ in the local language, which means ‘Hurry-Hurry’. Just one year before, in 1877, the river in Congo had been followed for the first time from its upper reaches to its mouth, proving that its upper stretches were not in fact a headwater of the Nile, but of the Congo! For the missionaries, this was unchartered territory in its most literal form! After reaching San Salvador and welcomed by Dom Pedro V, King of Congo, Comber and Grenfell started the longer expedition to reach Stanley Pool – an overland journey to by-pass the cataract stretch of the river. However, they were not able to make it to Stanley Pool, or to explore the miles of waters beyond, as they were forced to turn back by an unfriendly tribal chief. Despite this, they sent messages back to the BMS Committee encouraging the mission to continue. The mission was put under threat however early on, as Grenfell submitted his letter of resignation in 1878. The reason was that his former Jamaican housekeeper in the Cameroons, Rose Edgerley, was about to give birth and he was the father. He had promised her that he would return and marry her. Grenfell remained there for two years before being recommended by Comber as the right man to run the strategic mission depot at the mouth of the Congo. He was accepted by the Committee, readmitted to the mission and returned to Congo with his new family. The reinstatement was a risk, but Grenfell was to prove invaluable to the inland mission over the next 25 years. Meanwhile, in 1879, Comber and several other missionaries were able to proceed in the work. Establishing base stations for the West African mission on the coast and at the mouth of the Congo River was not much of a problem. However, reaching the interior was the goal. The Congo became navigable for over 1,000 miles inland from Stanley Pool, but it took 13 attempts before Comber and others were able to establish an overland route to Stanley Pool from the coast, finally achieving it in February 1881. These exploratory treks took the missionaries through hostile territory; the groups were attacked and shot because the river peoples were afraid of white men. In 1880, with Grenfell back on the scene, the mission strategy was evolving. A gift of £4,000 was given to BMS for the purchase and upkeep of a purpose-built steamer for the Congo in order to move eastwards towards the upper reaches of the river. The Peace was built in London and eventually launched at Stanley Pool in 1884 after having been disassembled into around 800 parts in order to be carried by 400 porters the 250 miles to reach that point (which took four months!). Between 1884 and 1886, Grenfell charted 3,400 miles of waterways and assessed the best locations for mission stations as he voyaged up-river on the Peace. For this pioneering work, he was awarded the Founder’s Medal of the Royal Geographical Society. Thank God we are safely back. It might have been otherwise, for we have encountered perils not a few. But the winds which were sometimes simply terrific, and the rocks which knocked three holes in the steamer when we were fleeing from cannibals, have not wrecked us. We have been attacked by natives about twenty different times; we have been stoned and shot at with arrows, and have been the mark for spears more than we can count. Grenfell was saddened and appalled by many of the practices he encountered – murders, witchcraft, slave raiding, cannibalism and sadistic methods of punishment. I cannot write you a tithe of the woes that have come unto my notice and have made my heart bleed as I have voyaged along. Cruelty, sin and slavery are as millstones around the necks of the people, dragging them down into a sea of sorrows. I pray that God will speedily make manifest to these poor brethren of ours that light which is the light of life, even Jesus Christ, our living Lord. Comber was also faced with the beliefs and practices of the native religions. On one occasion he was shown an image of wood, with a large protuberance on its back and a similar protuberance on its chest, looking as though it were both hump-backed and pigeon-breasted at the same time. “Could this image hurt me?” asked Comber. “Oh, yes; it would strike you dead.” Comber took it in his hand, and turned it about. “What would happen if I were to cut it?” Comber asked. “Oh, it would strike you dead!” they exclaimed in alarm. “May I try?” he asked. “Oh, it will kill white man,” they asserted. But as he pressed for permission, they at last agreed. So in breathless silence Comber drew his knife from his pocket and slowly cut off the pigeon-breast of the figure. Scrap after scrap fell from the image, but still it made no sign. After feeling he had done enough, he stopped. “Behold,” he exclaimed, “your god has no power. See what I have done, and yet I am not hurt. It is but a senseless piece of carved wood.” Comber then went on to explain the difference between such “gods” and the God he believed in. Africa was already known as the ‘White Man’s Grave’ and Congo had the highest death rate of missionaries, earning it the nickname ‘the shortcut to heaven’, although there were many enthusiastic volunteers for service. Between 1883 and 1887, 17 missionaries died in Congo. Grenfell buried his first wife and four of his children there, whilst Comber’s bride died after four months of marriage. The diminishing manpower meant that missionaries worked under physical, mental and spiritual strain. 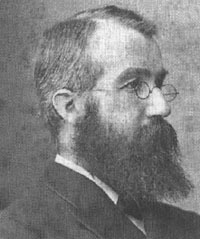 Comber tried to encourage the Committee back home that ‘unless a kernel of wheat falls to the ground and dies, it remains only a single seed; but if it dies, it produces many seeds.’ Sadly Comber’s confidence and exuberance waned as he buried and comforted more and more people before he too died of fever in 1887. With much of the focus being on geographical extension rather than church planting, early growth was not evident. There were very few converts, the earliest being the young Africans employed by the missionaries as domestic servants and assistants. 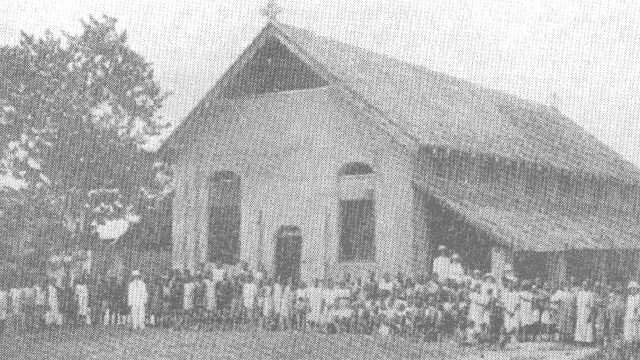 It was eight years after the work in Congo started, in March 1886, that the first baptism took place, and 1887 when the first church was formed, in San Salvador. Grenfell continued his work further up river and founded four new stations: Bolobo (1888), Upoto (1890), Monsembe (1890) and Yakusu (1896). A second steamer, the Goodwill, was launched in 1893 from Bolobo. Just twenty years have elapsed since I first landed at the foot of this cliff and was driven off at the point of native spears. The reception this time was very different. The teacher and a little crowd of school children stood on the beach to welcome us. Following the growth of the work in the Caribbean, Jamaican Christians urged BMS to begin a mission to Western Africa, wanting to share the gospel with their fellow Africans. So in 1840 BMS decided to ‘commence a mission in West Africa’. An expedition group was formed, including a Jamaican Baptist minister, John Clarke, and a doctor practising in Jamaica, G K Prince. They set sail to investigate possible locations for starting the mission, and on 1 January 1841 they stopped off on the island of Fernando Po (now known as Bioko), off the coast of Cameroon, en route to the intended destination of the River Niger. However, the welcome they received from the governor at the British naval base at Clarence, and the openness of the recently freed slaves to the gospel, encouraged Clarke and Prince to recommend Fernando Po itself as the first location for the mission, with a view to also expanding the work into the Cameroon mainland. A church was established in 1842 at Clarence, the main settlement, and it was from there in 1845 engineer Alfred Saker started to investigate mainland Africa and Cameroon. Slowly his work in Cameroon was established and after four years of faithful perseverance he baptised the first local convert. Watching one after another of his missionary colleagues die from tropical diseases, Saker still remained committed to the mission. Alongside Saker from 1850 was former Jamaican slave, Joseph Jackson Fuller, who worked in Cameroon until 1888 and was significant in the success there. BMS work in Cameroon ended abruptly in 1887 when the country became a German colony. Saker was an enthusiastic missionary, part of the first group to sail from the West Indies to West Africa. An exhibition group had landed on the island of Fernando Po in 1841, and set up a mission base with the vision to expand the work into the mainland. Back in London the expedition group publicised the new mission endeavour and four couples offered themselves for service. Among them were Alfred Saker, a draughtsman at the Admiralty dockyard at Devonport, and his wife Helen. In 1843, the Sakers and John Clarke sailed to Jamaica to gather a West Indian missionary group together. All the recruits arrived at Fernando Po in February 1844. The West Indian mission to Africa was, however, not a success and as a result the majority of the Jamaicans returned home in 1848. Despite the apparent failure of the mission, there were some positive experiences. The local community at Clarence was receptive to the gospel and some converts, as well as some from the Jamaica party, went on to be instrumental in the spread of the mission work. Joseph Merrick, who with his wife had sailed from Jamaica to Fernando Po, began work among the Isubu people at Bimbia in 1845. Merrick got a hold of the language and began translation work on Genesis, Exodus, Matthew and John into Isubu. Merrick’s work laid the foundation for Saker’s Bible translation into the Douala language, which he completed in 1872. 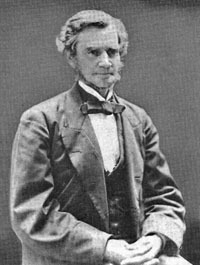 Saker’s first convert, Thomas Horton Johnson, went with Saker to the mainland to take the message of Christ to the indigenous people there. 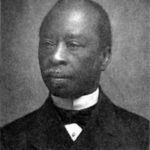 He became the first African pastor of Bethel church, which was established by Saker in Cameroons Town. Joseph Jackson Fuller, born a slave in Jamaica, came over to join his father who had been a part of the original mission group from Jamaica, and arrived in West Africa in 1845. In 1850 he was accepted by BMS as a full missionary and served in Cameroon until his retirement in 1888. Fuller played a crucial role in maintaining Baptist interest in the mission in Cameroon, and was the centre of stability for the mission, even more so than Saker. The main aim of the mission was to reach the people of the Cameroon mainland; however, it proved harder than the missionaries had anticipated. Saker and Johnson settled in King A’kwa’s town (also known as Cameroons Town, and Douala today) on 16 June 1845. Many of the people there were from cannibalistic tribes, they were superstitious, often at war with rival tribes, and normally unclothed – a completely different culture to Victorian England! Saker preached for two years with very little interest from the indigenous people. But in 1849, the message was received by at least one person, who was baptised, and made the church congregation number five (made up of Saker and his wife, Johnson and his wife, and the Douala convert). European mortality led to the mission being under threat of collapse, and by 1848 Saker was forced to return to Clarence to fill in the gaps left there by his deceased colleagues. Three years earlier the British had abandoned their naval base, leaving it open for Spain to claim the island. This did not disrupt the missionary activities until 1858 when the Spanish authorities outlawed all but Roman Catholic religious practices. Saker decided to relocate the BMS mission base to a port town on the mainland at Ambas Bay, which he named Victoria. Saker’s plan was for a Christian colony to develop at Victoria and help in the spread of the gospel further inland. However, his vision was not realised: the British Foreign Office were not interested in Amber Bay for a harbour, and many of the ex-slaves from Fernando Po refused to follow Saker to Victoria. However, 82 people did go, and a small church was formed. It was here that Thomas Comber arrived to serve as BMS missionary in Cameroon in 1876. By this time, Saker had considerable influence over the Cameroon mission, running a Christian community in Cameroons Town ‘without police, court, magistrate or judge’. His position led to allegations being brought against him, from both fellow missionaries and also some of the Cameroonian Christians. The BMS committee met with Saker in England but held the position that the charges against him were ‘in the main unfounded’. Saker returned to Africa in 1864, but with his responsibilities appropriately altered to remove any further difficulties. Tensions remained though between the mission personnel as to the focus of the work; Saker concentrated on ‘civilising’ the Douala, while the others thought this distracted from evangelism. Once more, in 1868, Saker was called back to England and it was decided that the Committee would send E B Underhill back with the Sakers in 1869 to get a first-hand experience of the situation in Cameroon. The differences which existed were brought to a termination by her death all agreeing to bury all the unpleasantness in the grave with her and thus ended what at first seem an unending trouble. In 1877 and in the light of a large donation to BMS, two men, Thomas Comber and George Grenfell, were dispatched from Cameroon to Congo to investigate the potential of establishing a mission on the Congo river. Their work would prove to be highly influential for the mission in West Africa. By 1885, Cameroon had come under the rule of Germany, and the future of the mission in Cameroon was uncertain again. 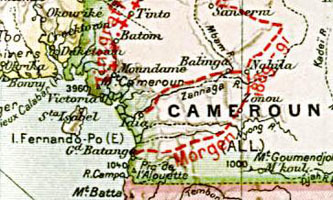 BMS entered into negotiations with a German mission agency, Basel Mission, and it was agreed in 1886 that BMS would withdraw from Cameroon and hand over the work to the Basel Mission. The transition was not easy though for the churches. Through all the difficulties, transitions and differences, Saker had planted churches in Cameroon which went on to grow into maturity. He was a man of vision, tainted by controversy, but whose work enabled the gospel to spread through Africa.